Published on August 2, 2016 in Best Places, country parks, Holiday homes near National Parks, inspiration, Lake District, News, rural escapes, Self catering holidays, top destinations, Travel Inspiration and walking holidays. Closed Tags: National Parks, self-catering breaks, UK holidays. Despite boasting some of the best areas of wildlife and nature anywhere in the world, many British residents have never taken advantage of the fact that these fantastic national parks are so widely available throughout the UK. Many of these National Parks are quite literally on the doorstep of some Country Cottages Online rentals. These parks are truly one of the most special, unique and memorable aspects of a UK based holiday so we wanted to take a look at a few of the very best you can enjoy when holidaying in the United Kingdom. We have included at least one from England, Scotland and Wales to give you an idea of how scattered and widespread throughout the country they are. Northern Ireland does not house a recognised National Park but does still offer some of the most beautiful and rich country views and rural settings available! Inspiration for many poets and writers over the centuries, this wonderful and tranquil environment is made up of woodlands, valleys, farmland and moorland and is also home to the tallest tree in Britain. Wildlife, such as wild red deer, often roams freely and in harmony in Exmoor. The edge of the park is made up of high cliffs that meet the Bristol channel are offer up some marvelous sights. The area intersects and borders many popular villages and towns such as Combe Martin and Minehead, each of which have plenty of attractions to offer as well. Like most of the parks on the list, the Lake District is an extremely diverse environment, but (again like most parks on the list) it remains extremely unique and unlike anything else. With over 16 lakes in the area (as well as a stretch of the British Coastline), the Lake District is the perfect place for rowing, windsurfing, fishing and much more. Enjoy a splash about on the shore with your family or hire out a boat for the day. There are also plenty of walking and cycling trails in the park. Be sure to take in the stunning mountain scenery at Windermere and Ullswater or explore the valleys of Langdale Valley. For unrivaled tranquility visit the north Lakes section of the park. Cairngorms is simply gigantic. Twice the size of the Lake District, this area is not only vast but is also an extreme diverse and dramatic environment. The area is made up of mountains, forest area, rivers, lochs and more and is full of wildlife. There are also many charming villages to visit and enjoy. There are seemingly infinite places to explore and discover at this impressive national park. Home to the UK’s highest and most famous mountain, the Snowdonia National Park also houses the largest natural lake in Wales and is full of beauty and wonder. 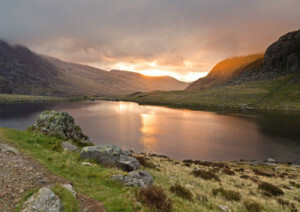 From postcard worthy villages (such as the charming Betws y Coed) to historical sites and outdoor pursuit’s centres, Snowdonia is a special place that has a lot on offer. The panoramic views of the mountain range are truly staggering and make it a unique place. Be transported through the area and to the summit of Snowden in exhilarating and dramatic fashion with the excellent Narrow Gauge/Snowdonia Mountain Railway. Aside from breathtaking views, the Peak District offers visitors a whole host of fantastic walking, cycling and horse riding options so that you can experience this special place in a number of different ways. There are also numerous quaint and lovely villages to visit along the way such as Bakewell, Buxton, and Castleton. Castleton is home to four amazing show caves which have to be seen to be appreciated. The area is extreme diverse and is split into a Northern area known as the Dark Peak which is where most of the areas moorland is and then there is the White Peak in the south which is where most of the villages and inhabitants are found. The UK is such as diverse and impressive landscape and these amazing national parks do well to reflect that. There are many other parks, as well as countless unofficially recognised sites and landmarks and AONB that are available to holidaymakers in the UK and are a key reason why people from all over the world visit the UK every year. For those lucky enough to live in United Kingdom you can visit these places with relative ease and can take advantage of the self-catering accommodation available in order to be able to freely explore these special places.